The media has all but filtered out of Detroit, Michigan, for the 2019 Detroit Auto Show, but the public days are upon us. This year, attendees will find a brand-new Cadillac display to browse through. Cadillac highlighted its new display in a Tuesday announcement and underscored its connections to motorsport, music, and the brand’s design heritage. Foremost is the brand’s fresh lineup, which is a grand change of pace from the past few years. Showgoers will find not one, not two, but finally, three crossovers from the luxury division. The Cadillac XT5 has carried the brand through the industry’s boom years, but the smaller XT4 and three-row XT6 have arrived to join the party. Dealers, we assume, can’t be more happy for fresh cars to sell. The display also highlights the Cadillac CT6, which we now hear isn’t on the way out after all. Visitors will have the chance to see Super Cruise up close in the large sedan. The CTS-V and ATS-V will also be hand, likely the last time we see them at a Detroit auto show as Cadillac readies a new CT4 and CT5 to replace them. Mosying through the display, fans will find the IMSA-championship Cadillac DPi-V.R race car, a centerpiece to the motorsport display. The brand was the IMSA Manufacturer Champion in 2017 and 2018, and the display is meant to highlight the motorsport’s connection to its V-Series road cars. Design heritage is on display, too. A 1959 Biarritz convertible is front and center, which Cadillac says was the pinnacle year for tail fins. An associated display also traces the evolution of the Cadillac wreath and crest badge, which today, is merely a crest. 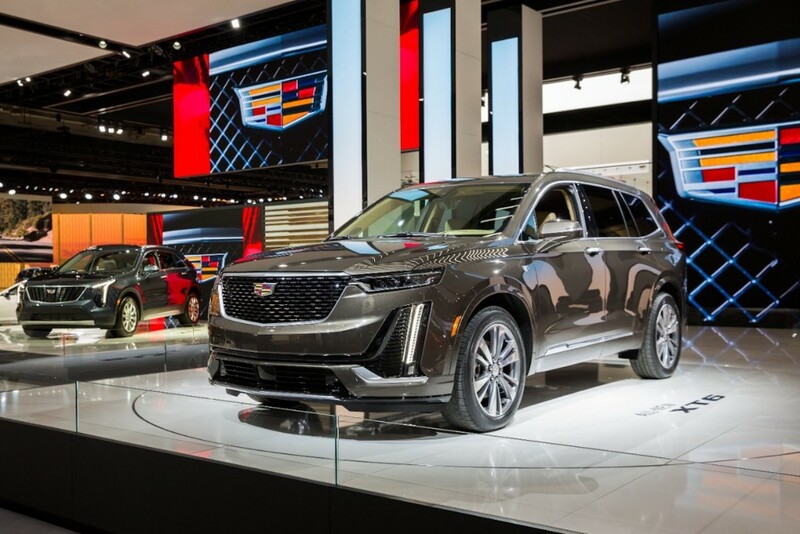 Showgoers will also be treated to Cadillac-inspired artwork and music that “conveys Cadillac’s product stories.” A DJ will be on hand to spin every day during the show, and Cadillac owners will be treated to refreshments in the second-story lounge. Will this display be on hand for the Chicago auto show as well? Ralph L on:Ask Away: What Do You Want To Know About The Cadillac CT5?